The main theme of this blog is going to be cooking. I love to cook. I’ll talk about other things sometimes, but mostly this is just a personal blog about cooking. Because I love to cook. Note: This is My main intro homepage for the site. It will only change occasionally. If you want to see the blog where I post things I’ve cooked, go to the “Things I’ve Cooked” option in the upper-right corner, or just click HERE. Some things you might want to be aware of before We get started. I do not cook with margarine. I cook with butter. I know what’s in butter: BUTTER is in butter. I love My cast-iron skillets. I use them on a pretty constant basis. I love My knives. I sharpen most of them on a regular basis. Dull knives make cooking harder. Because of some heath issues, I do try and avoid salt when I can. However, there are times when salt is very definitely what needs to be used, such as when seasoning steak. Even though I avoid salt if possible, I do love My spices. I have bags and jars and grinders with a variety of spices and am buying more all the time. As W.C.Fields put it once, “I cook with wine. Sometimes I even add it to the food.” I never use “cooking wine.” If I won’t drink it, I won’t put it in My food either. My doctors want Me to stop drinking altogether because My liver doesn’t appreciate the alcohol. So I’ll stop drinking alcohol, but may still occasionally use it when cooking. I did recently come across an intriguing article about non-alcoholic substitutes for wine, which I may try in the days to come. I am a single, disabled guy living in Texas. Mostly I cook for one, so you won’t see a lot of appetizers or fancy side dishes or details on place settings or stuff like that. I don’t cook things with a whole long list of ingredients. I’m frugal (translation: poor) and if it’s just something exotic that I’ll buy and use once, I’m most likely to pass on it or make a substitution of something that I think is similar and that I already have. Similarly, I don’t often cook things that require Me to remain standing for long periods of time (and for Me, a “long period” is over five minutes or so). I don’t use measuring cups or spoons. I know what things taste like, so the amount of an ingredient that I add to a dish is pretty much “yeah, that looks good.” Sometimes I’m wrong. But not often. Some of My disabilities are psychological. I have MDD (major depressive disorder), infrequent fugue states, and some tendency to paranoid schizophrenia. 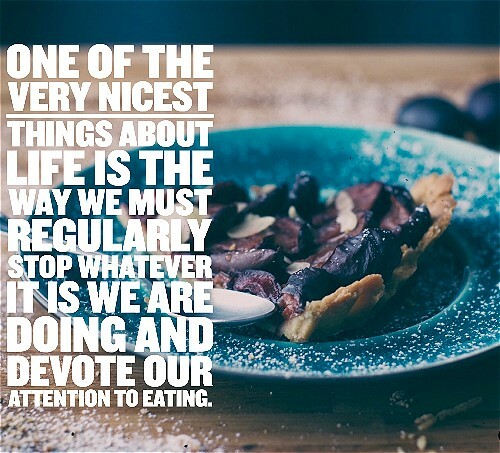 Cooking helps Me deal with those issues and lets Me focus. Despite living in Texas, I’m a liberal atheist. This may show in My posts from time to time, so be warned if you’re easily offended.